Painful is the stress when one cannot reproduce or convey vividly to others, however hard he tries, what he's experienced so intensely. 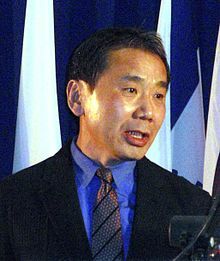 Haruki Murakami (村上 春樹 Murakami Haruki, born 12 January 1949) is a best-selling contemporary Japanese writer. 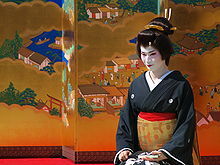 His works of fiction and non-fiction have garnered critical acclaim and numerous awards, both in Japan and internationally, including the World Fantasy Award (2006) and the Frank O'Connor International Short Story Award (2006), while his whole oeuvre garnered the Franz Kafka Prize (2006), the Jerusalem Prize (2009), and the Hans Christian Andersen Literature Prize (2016) among others. I said this one day to the doctor in charge of my case, and he told me that, in a sense, what I was feeling was right, that we are in here not to correct the deformation but to accustom ourselves to it: that one of our problems was our inability to recognize and accept our own deformities. Just as each person has certain idiosyncrasies in the way he or she walks, people have idiosyncrasies in the way they think and feel and see things, … "
You burn barns. I don't burn barns. There's this glaring difference, and to me, rather than say which of us is strange, first of all I'd like to clear up just what that difference is. As I already explained, I don't have any form. I'm a conceptual metaphysical object. Who can say what's best? That's why you need to grab whatever chance you have of happiness where you find it, and not worry about other people too much. My experience tells me that we get no more than two or three such chances in a life time, and if we let them go, we regret it for the rest of our lives. What gave money its true meaning was its dark-night namelessness, its breathtaking interchangeability. Painful is the stress when one cannot reproduce or convey vividly to others, however hard he tries, what he's experienced so intensely. In my case, the stronger is the intention to "write about a particular subject in a particular way," the harder it becomes to start writing and to express myself. This stress somewhat resembles the irritation one feels when he cannot describe to another person what he experienced so vividly and realistically in his dreams. All words I use to narrate my feeling of the moment fail incessantly to describe what I wish to, and then they begin to betray me. The world would be a pretty dull place if it were made up only of the first-rate, right? Mediocrity is like a spot on your shirt, it never comes off. "likewesaid, we'lldowhatwecan. Trytoreconnectyou, towhatyouwant," said the Sheep Man. "Butwecan'tdoit-alone. Yougottaworktoo. Sittingsnotgonnadoit, thinking'snotgonnadoit." "So what do I have to do?" "Dance," said the Sheep Man. "Yougottadance. Aslongasthemusicplays. Yougotta dance. Don'teventhinkwhy. Starttothink, yourfeetstop. Yourfeetstop, wegetstuck. Wegetstuck, you'restuck. Sodon'tpayanymind, nomatterhowdumb. Yougottakeepthestep. Yougottalimberup. Yougottaloosenwhatyoubolteddown. Yougottauseallyougot. Weknowyou're tired, tiredandscared. Happenstoeveryone, ok? Justdon'tletyourfeetstop." And it came to me then. That we were wonderful traveling companions but in the end no more than lonely lumps of metal in their own separate orbits. From far off they look like beautiful shooting stars, but in reality they're nothing more than prisons, where each of us is locked up alone, going nowhere. When the orbits of these two satellites of ours happened to cross paths, we could be together. Maybe even open our hearts to each other. But that was only for the briefest moment. In the next instant we'd be in absolute solitude. Until we burned up and became nothing. You are a beautiful person, Doctor. Clearheaded. Strong. But you seem always to be dragging your heart along the ground. From now on, little by little, you must prepare yourself to face death. If you devote all of your future energy to living, you will not be able to die well. You must begin to shift gears, a little at a time. Living and dying are, in a sense, of equal value. Numbers aren’t the important thing … what matters is deciding in your heart to accept another person completely. When you do that, it is always the first time and the last. I don't care about the time I run. I can try all I want, but I doubt I'll ever be able to run the way I used to. I'm ready to accept that. It's not one of your happier realities, but that's what happens when you get older. Just as I have my own role to play, so does time. And time does its job much more faithfully, much more accurately, than I ever do. Ever since time began (when was that, I wonder? ), it's been moving ever forward without a moment's rest. And one of the privileges given to those who've avoided dying young is the blessed right to grow old. The honour of physical decline is waiting, and you have to get used to that reality. If your confusion leads you in the right direction, the results can be uncommonly rewarding. Many are the women who can take their clothes off seductively, but women who can charm as they dress? The elevator continued its impossibly slow ascent. Or at least I imagined it was ascent. There was no telling for sure: it was so slow that all sense of direction simply vanished. It could have been going down for all I knew, or maybe it wasn’t moving at all. But let’s just assume it was going up. Merely a guess. Maybe I’d gong up twelve stories, then down three. Maybe I’d circled the globe. How would I know? I always say—a prejudice on my part, I'm sure—you can tell a lot about a person's character from his choice of sofa. Sofas constitute a realm inviolate unto themselves. This, however, is something that only those who have grown up sitting on good sofas will appreciate. It's like growing up reading good books or listening to good music. One good sofa breeds another good sofa; one bad sofa breeds another bad sofa. That's how it goes. There are people who drive luxury cars, but have only second- or third-rate sofas in their homes. I put little trust in such people. An expensive automobile may well be worth its price, but it's only an expensive automobile. If you have the money, you can buy it, anyone can buy it. Procuring a good sofa, on the other hand, requires style and experience and philosophy. It takes money, yes, but you also need a vision of the superior sofa. That sofa among sofas. Now for a good twelve-hour sleep, I told myself. Twelve solid hours. Let birds sing, let people go to work. Somewhere out there, a volcano might blow, Israeli commandos might decimate a Palestinian village. I couldn't stop it. I was going to sleep. I’ve read Rudin before, but that was fifteen years ago in university. Rereading it now, lying all bandaged up, sipping my whiskey in bed in the afternoon, I felt new sympathy for the protagonist Rudin. I almost never identify with anybody in Dostoyevsky, but the characters in Turgenev’s old-fashioned novels are such victims of circumstance, I jump right in. I have a thing about losers. Flaws in oneself open you up to others flaws. Not that Dostoyevsky’s characters don’t generate pathos, but they’re flawed in a way that don’t come across as faults. Once again, life had a lesson to teach me: It takes years to build up, it takes moments to destroy. "You said that the mind is like the wind, but perhaps it is we who are like the wind. Knowing nothing, simply blowing through. Never aging, never dying"
Unclose your mind. You are not a prisoner. You are a bird in fight, searching the skies for dreams. Once again, life had a lesson to teach me: It takes years to build up, it takes moments to destroy. Sure, I'd gotten tired of this tiny space, but I'd had a good home here. In the time it takes to swill two cans of beer, all had had sublimed like morning mist. My job, my whiskey, my peace and quiet, my solitude, my Sormerset Maugham, and John Ford collections-all of it trashed and worthless. "You got to know your limits. Once is enough, but you got to learn. A little caution never hurt anyone. A good woodsman has only one scar on him. No more, no less." "You are not lost. It's just that your own thoughts are being kept from you, or hidden away. But the mind is strong. It survives even without thought. Even with everything taken away, it holds a seed-your self. You must believe in your powers." First, about the mind. You tell me there is no fighting or hatred or desire in the Town. That this is a beautiful dream, and I do want your happiness. But the absence of fighting or hatred or desire also means the opposites do not exist either. No joy, no communion, no love. Only where there is disillusionment and depression and sorrow does happiness arise; without the despair of loss, there is no hope. "I never trust people with no appetite. It's like they're always holding something back on you." Fairness is a concept that holds only in limited situations. Yet we want the concept to extend to everything, in and out of phase. Losing you is most difficult for me, but the nature of my love for you is what matters. If it distorts into half-truth, then perhaps it is better not to love you. I must keep my mind but loose you. Fairness is a concept that holds only in limited situations. Yet we want the concept to extend to everything, in and out of phase. From snails to hardware stores to married life. Maybe no one finds it, or even misses it, but fairness is like love. What is given has nothing to do with what we seek. "You yourself created this Town. You made everything here. The Wall, the River, the Woods, the Library, the Gate, everything. Even this Pool. I've known all along." "Then why did you not tell me sooner?" "Because you'd only have left me here like this. Because your rightful world is there outside." My shadow sits down in the snow and shakes his head from side to side. "But you won't listen, will you?" "I have responsibilities," I say. "I cannot forsake the people and places and things I have created. I know I do you a terrible wrong. And yes, perhaps I wrong myself, too. But I must see out the consequences of my own doings. This is my world. The Wall is here to hold me in, the River flows through me, the smoke is me burning. I must know why." Genius or fool, you don't live in the world alone. You can hide underground or you can build a wall around yourself, but somebody's going to come along and screw up the works. Money had no name of course. And if it did have a name, it would no longer be money. What gave money its true meaning was its dark-night namelessness, its breathtaking interchangeability. But even so, every now and then I would feel a violent stab of loneliness. The very water I drink, the very air I breathe, would feel like long, sharp needles. The pages of a book in my hands would take on the threatening metallic gleam of razor blades. I could hear the roots of loneliness creeping through me when the world was hushed at 4 o'clock in the morning. I'm a very ordinary human being; I just happen to like reading books. I'm tired of living unable to love anyone. I don't have a single friend - not one. And, worst of all, I can't even love myself. Why is that? Why can't I love myself? It's because I can't love anyone else. A person learns how to love himself through the simple acts of loving and being loved by someone else. Do you understand what I am saying? A person who is incapable of loving another cannot properly love himself. I am nothing. I’m like someone who’s been thrown into the ocean at night, floating all alone. I reach out, but no one is there. I call out, but no one answers. I have no connection to anything. You can hide memories, but you can't erase the history that produced them.